What comes to mind when you think of the words “Responsibility” and “Kids”? To me, a responsible child is able to do many things independently, without many (or any!) reminders. It also means that they are doing these things because it’s the right thing to do – not for any reward. 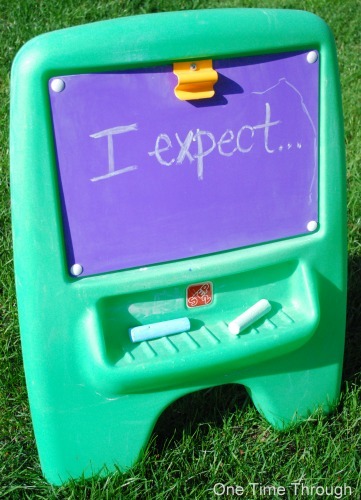 Today’s Teaching Kids About Character: An Alphabetic Series post is R is for Responsible. 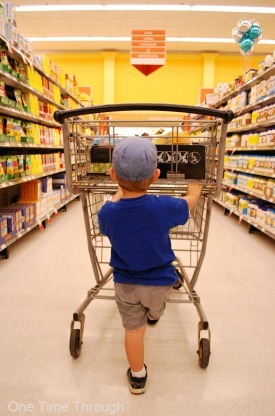 It shares 4 easy tips to help your young child start to become that independent and responsible person that we would love for them to be – without nagging or bribes! If we expect our kids to do chores, clean up after themselves, and help out around the house, it will become a habit as they grow up. Sometimes I think this is easier in larger families where everyone needs to pull their share for the household to function. Do you see how the first and second questions communicate that cleaning up his own mess is his responsibility, while the third question makes it sound like it’s my job to clean up his mess and he is helping me! See the difference? There are so many great articles out there on how important it is to give our kids chores to do, and what kinds of chores kids can do at certain ages, so I won’t cover that here. If you’re looking for these kinds of ideas, be sure to FOLLOW our Teaching Kids Responsibility pinterest board at: Follow One Time Through’s board Teaching Kids Responsibility on Pinterest. I think the important point here is that we allow our kids to practise doing things on their own. 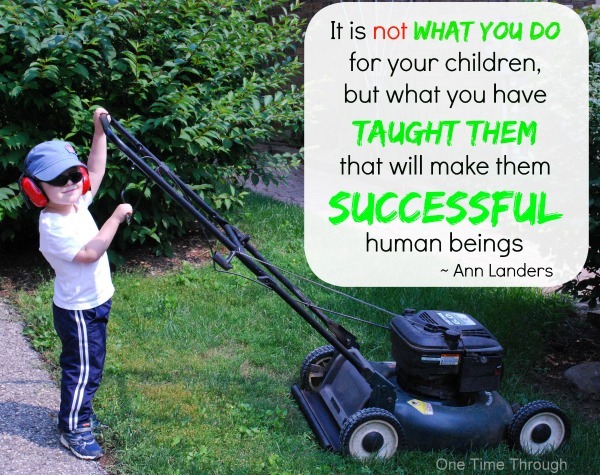 Don’t get me wrong…chores can be a great way to get kids to practise being responsible, but we can think outside the traditional chore box too. My 3 year old is responsible for vacuuming up the dead plant leaves every week (that probably doesn’t say a lot about my ability to grow indoor plants! ), helping to dust, and we’re just working on sorting clothes for the wash together, and matching clean socks after they are washed. These could all be considered traditional chores. If you find yourself doing too many things for your kids (like I did at one point), it might help to sit back and reflect a bit on your day and ask yourself what small things they can do without you. Would it really hurt for your child to pour themselves a glass of milk? What’s the worst thing that can happen? Start with those little tasks, even if they take longer for your child to do than you, and even if they don’t do them nearly as well as you could. It’s a start to them developing their own sense of being capable and responsible. For more ideas on encouraging kids to be independent, be sure to check out the I is for Independent post! When kids feel like they have come up with the idea to do something themselves, they are more likely to do it. (This is also true of men!) Instead of nagging your child to clean up the toys, or to do their weekly dusting chore, describe the problem and sit back and watch while they solve it! All 3 of these ways communicate to your child that you would like them to DO something. Without nagging or commanding them to do something, you’re more likely to get their cooperation. When you label their actions as responsible, and show your approval, your child internally praises themselves for their actions. In other words, they tell themselves that they are responsible and that they did well! They are much more likely to repeat these actions, and they start to develop an understanding of what responsibility IS. And that brings us to the end of the R is for Responsible. To find even more positive parenting tips, follow us on Facebook, Twitter, and Google+. 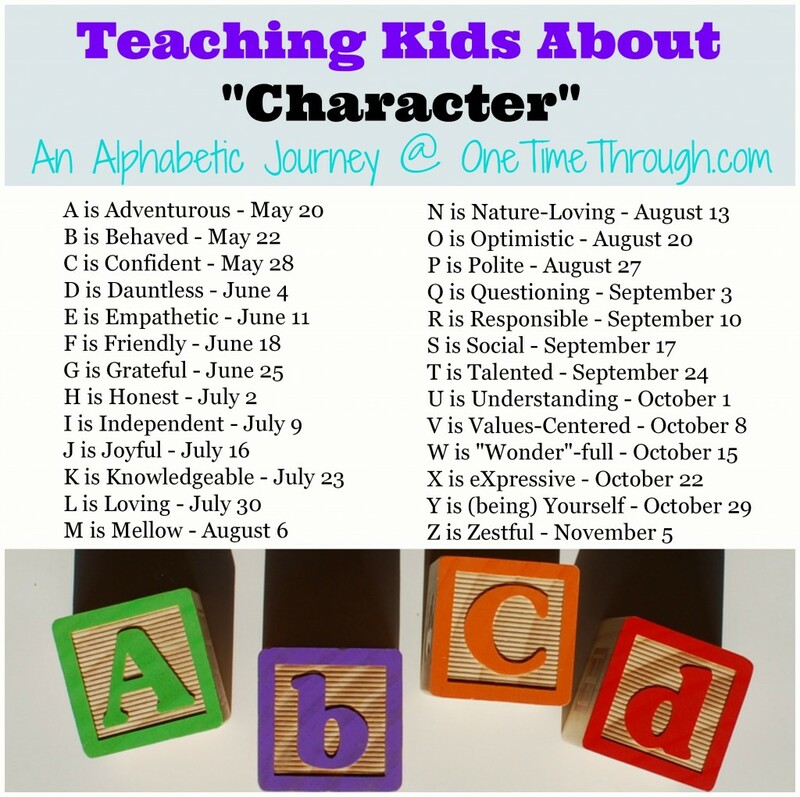 To keep following our alphabetic journey – please visit our Teaching Kids About Character page.